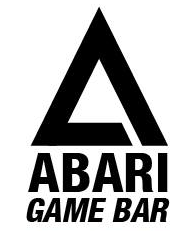 I had been asked to write an article for this site and was tossing around numerous ideas but nothing seemed to stick. Then today happened. Leonard Nimoy passed away at the age of 83. This made me pause and reflect on just how much Star Trek had meant to me then how much science fiction fandom in general meant to me and had shaped my life. Sometimes it seems a little silly to get so worked up over a television show and the people involved with creating it. 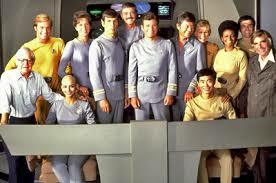 I’ve met a few of the people who worked on the show although Nimoy wasn’t among them. The one time I thought I’d get to meet him, he had a scheduling conflict and had to appear on a day that I couldn’t be at that particular convention. When I was a kid, I didn’t have a lot of friends. I was a geeky nerd who was interested far more in science than sports. Bullies were a part of my daily routine. My home life was one of derision and abuse. But there was Star Trek. Every afternoon at 4:00, our local station showed reruns of Star Trek when it first went into syndication. For that hour, I was transported into worlds that were at first strange but would eventually become as familiar as the halls of my school and the streets of my hometown. The people there weren’t judgmental. While they didn’t always agree, they were always supportive. That’s the world where I wanted to live. My friend Greg and I would don homemade Starfleet uniforms and, in a shuttlecraft made from an old refrigerator box, we’d play Star Trek. Because Greg was blonde, he was always Kirk and I was always Spock. 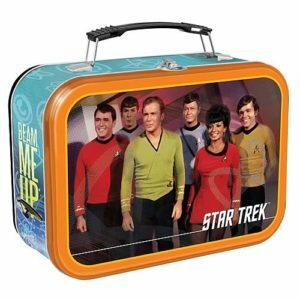 We also had the AMT model versions of phasers, communicators and tricorders so we were set. As I grew older, my fandom matured but never stopped. I collected books, magazines, blueprints and calendars. I recorded the soundtracks to the episodes on cassette tapes. 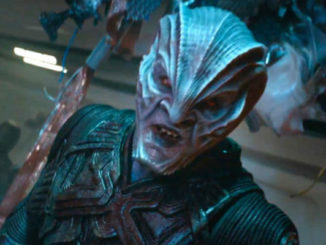 I built starships, Klingon battle cruisers, Romulan war birds and the bridge of the Enterprise. No matter how bad things were in the rest of my world, there was this little corner of it where I could go and know that I was OK. And if that world were real, I’d be able to live in it just the way I was because everyone was accepted. When the movies came to the screen, my fandom was rekindled. Like the heroes of my childhood, I was older and, I hoped, a bit more mature. But seeing them on the screen was like meeting up with old friends I hadn’t seen for a long time. But there was something different. There were lots of people lining up to see these movies. I found that fandom went beyond Greg, the cardboard shuttlecraft and me. I met other fans and became friends with many of them. Some of those friendships endure now more than 30 years later. Through fandom, I found a community of people with whom I could discuss the most outrageous and preposterous ideas without someone deriding them. I had found kindred spirits who would let me be myself without reservation. Over the years, fandom has changed. Instead of small gatherings of a few dozen fans, conventions have become big business with some attracting crowds in the tens of thousands. Today, it’s more acceptable to be a science fiction (or fantasy or horror or whichever) fan. 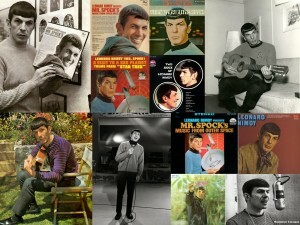 Of course, Nimoy’s career went far beyond that single television series or the movies that spun off from it. Over the years, we saw him record music, perform on stage and show his artistic side through his photography. There was a depth to this man that went beyond what we saw in episodic television. 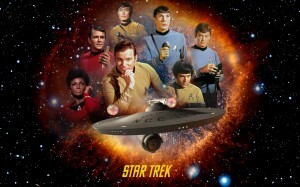 For this Trekkie, fandom will always go back to watching reruns of Star Trek on that black and white TV back in 1971. 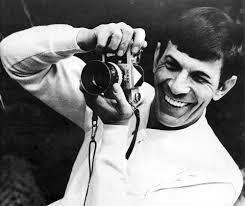 So to everyone who was involved with Star Trek, especially Leonard Nimoy today, I thank you for creating a world where it was OK to be me. I only hope I can live up to the ideals I learned from 79 episodes of a silly, wonderful television show.